The Situation Room offers an all in one "All Hazard" monitoring system to keep you informed about threats affecting your assets 24/7. Instantly report on assets under threat so you can put your emergency procedures into action for those about to be affected. By combining our Regional Alerts service and the Situation Room, you will be notified as soon as there is a threat to your assets. 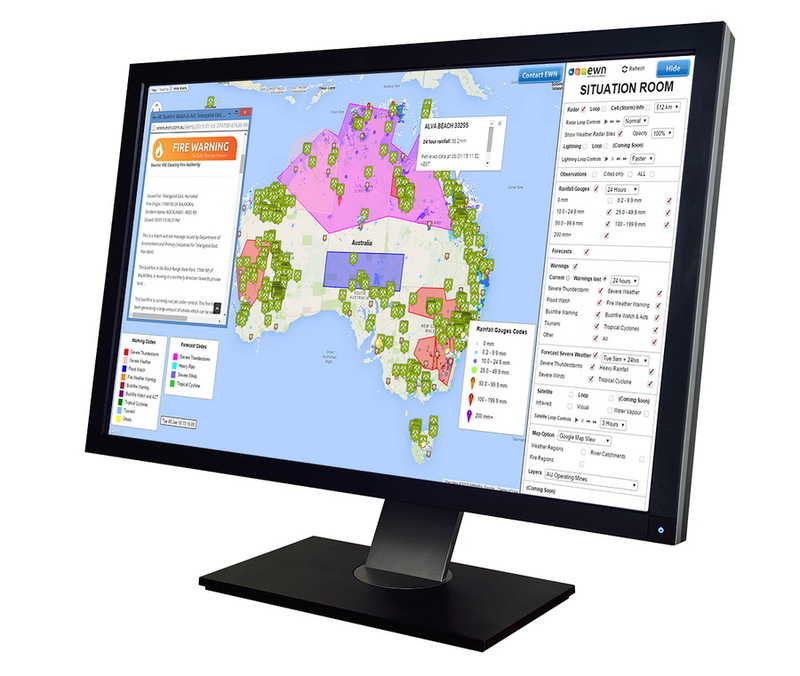 When you get the alert, check the Situation Room to find out which of your assets is going to be impacted and set your emergency response plans into action. This combination gives you unparalleled situational awareness, 24/7 365 days per year, from any internet connected device. If you are in the business of protecting your company assets, operations and people on the ground you should definitely phone us now for a free trial.